Forward by Ray Kappe. Text by Cory Buckner. They Lyman House and the Work of Frederic P. Lyman is an account of an inventive and skilled architect practicing in 1960s and 1970s Los Angeles. Four years after receiving his master's degree in architecture from Yale University, Frederic Lyman (1927-2005) purchased a lot in Malibu where he was to build his iconic Lyman House. 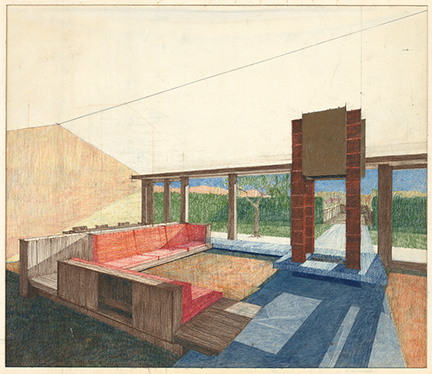 in addition to his own house, he took on several other Los Angeles commission and accompanied each project with a perspective drawing carefully rendered in colored pencil. Lyman's colors are abstract and expressive rather than naturalistic, allowing the viewer to feel the grain of wood and the weight of rocks in his compositions. While few examples exist of Lyman's built architecture, his work lives on in the exquisite rendering he prepared for every project that entered his office, lovingly documented in this volume. Pbk, 10.25 X 10 in. / 192 pgs / 99 color / 12 duotone / 78 b&w. Frederic P. Lyman, III (1927 - 2005, Kansas City, Missouri) was a Los Angeles architect best known for his iconic Lyman House, 1960, built in Malibu. In 1982, he served as president of the Los Angeles chapter of the American Institute of Architects and later served as a director on the National Board of the AIA. He was one of the founders of the LA Architect publication. Lyman’s father, Frederic Pomeroy Lyman II, a Cornell graduate and architect who practiced in Kansas City, Missouri, died when Lyman was 6. Lyman's mother, Amalia Partridge, married Frederick Ingham, a businessman in the lumber trade and a Yale graduate. Lyman attended Yale University for his undergraduate studies and was greatly influenced by George Howe, the head of the architecture department and partner in the firm Mellor, Meigs, and Howe in Philadelphia. Lyman struggled the first few years and Howe suggested Lyman take a course in engineering and get a job instead of continuing with his education. Discouraged by this rejection, Lyman moved to New York and studied with Professor Bach at Cooper Hewitt who, at the end of Lyman's studies, considered his work very professional. With renewed enthusiasm and a solid grasp of structural engineering, Lyman returned to Yale and completed his studies. Strong influences included Josef Albers, Gene Nalle, Bob Russell, and Vincent Scully. Albers, who taught color theory, appealed to Lyman's artistic temperament and interest in color. Nalle and Russell, both influenced by Japanese culture and the craft of building rather than history and theory, appealed to Lyman's love of making. Nalle and Russell had open feuds with the architectural historian Vincent Scully, but this did not stop Lyman from learning a love of architectural history from Scully. After graduating Lyman worked briefly with Mellor, Meigs, and Howe before returning to Seattle where he worked for W. G. Clarke Company, a construction company doing hard labor on a new roof at Pacific Telephone. Lyman thought the work far too dangerous, so he headed south securing a job with Richard Neutra. 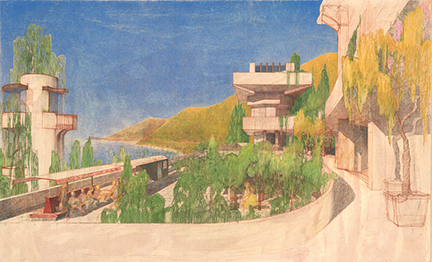 Neutra, always pushing the boundaries of modernist architecture, had a distinct style and skill at rendering his projects. 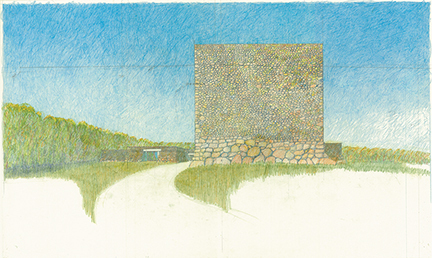 Both these qualities appealed to Lyman who had early on developed a sophisticated way of rendering with colored pencils. 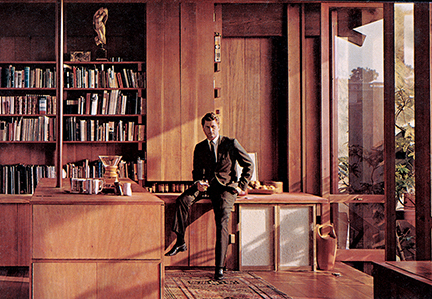 Neutra, in his downtown Los Angeles office, put Lyman to work on Emerson High School, St. John’s College, Anapolis, and the Hall of Records in Los Angeles. While at Yale, Lyman decided to eventually build his own house in the manner he learned from Nalle with wood and stone. Towards the end of his employment with Neutra, Lyman purchased the lot in Las Flores Canyon in Malibu where he built the iconic Lyman House. Lyman set up an office in his Lyman House shortly after its completion in 1960 and his marriage to Katherine (Kate) Starke. Thus began a career in primarily residential architecture that lasted until a diagnosis of Parkinson's disease forty years later, in 2000. 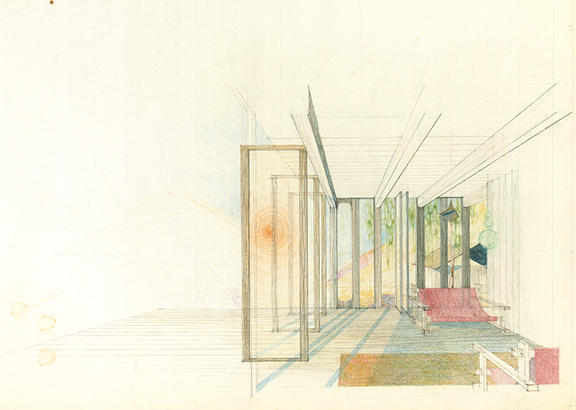 For every project, Lyman created intricate colored pencil perspective renderings. After his death in 2005, one hundred and twenty of them were placed at the Getty Research Institute. 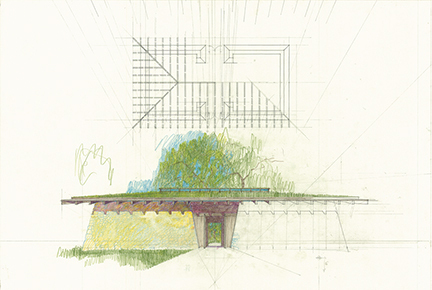 Lyman worked on a plan for the Lyman House for four years, making a thorough study of Japanese architecture. He felt they were the one people who used wood with the greatest sophistication and depth of research. The Lyman House plan is simple; a twenty by thirty foot space for both the lower and upper floors with a detached bath house and detached carport. The was house placed in a north/south direction with solid walls of wood siding facing West and East. The North and South elevations were both walls of pivoting French doors custom made with off-the-shelf bronze hardware. 14" x 14" redwood timbers, selected to resist decay, were used as the vertical support for the floors and roof. Large redwood timbers spanned the living room and supported each piece of the exterior siding cut to fit into a groove made in the large timbers. No nails were used in the construction; instead a system of bolts, rods, and wedge joinery was used to connect the structural members. The Douglas Fir angled stair treads at the outside staircase leading to the upper floor were doweled into place. A sail maker made the upper floor tent out of blue canvas, which housed a bedroom with a custom bed designed by Lyman. The living room canvas sling chairs and loveseat were also designed by Lyman and secured with wedge joints, the same principle as the house construction. The ceramicist, John Mason, designed and fabricated the bathroom tiles and the hearth for the copper Swedish fireplace, the only source of heat in the house. The house burned to the ground in the Las Flores Fire in November, 1993.